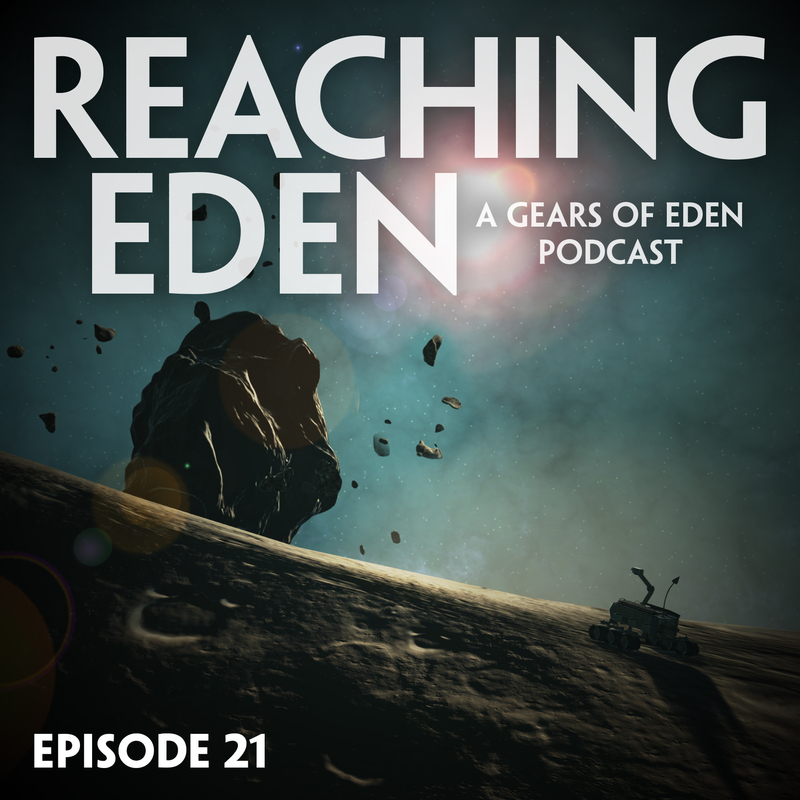 After a bit of a break, we’re back with Episode 21 of Reaching Eden! This week, we discuss our recent bug hunt sessions and the process of working with concept artists like Sasha Nodia, who is helping us re-imagine the starting asteroid in our space game, Gears of Eden. Building a game is a very collaborative process, and we’re very fortunate to work with many talented individuals in this endeavor – including our followers and fans, who provide invaluable feedback and ideas! In our inspiration segment, we discuss this clever interactive game that teaches about the evolution of trust in society by the amazing Nicky Case. After going down a sidetrack that sees us develop the concept for a gripping CW show, we find inspiration in screen writing, a shared love for sculpture and the Michael Pollan food history book, The Omnivore’s Dilemma. We wrap things up with a discussion of other games, which this week includes Overwatch, God of War, and Mario Odyssey. Please let us know what you think of the episode! We’d love to hear from you on Twitter, Facebook, Patreon, or Twitch! We’ll be back soon with Episode 22!